Instructions and photos so you can make this adorable diaper tryke yourself. It can be difficult to find the perfect baby gift. There are baby things mom will never have enough of that will make wonderful, and much appreciated baby gifts. Gifts such as Carter's New Baby Essentials will get mom started with the basics that every new baby needs. There are baby things that mom will never have enough of, which make great baby gifts. Personalized baby gifts are special. You can have the baby's name embroidered on their baby blanket. Not only can you get a great personalized baby gift, but you can also get one for the new mom. Here are some great personalized gifts at the Personalization Mall but they can be a bit high priced, and be sure to pay attention to shipping costs before you complete the order. One great gift idea is that of gift cards especially if you don't know what to buy. Moms need diapers, formula. Although many moms qualify for WIC, WIC does not supply enough formula for a baby once it starts drinking more. Formula is not cheap. You can always give mom a gift card from her favorite grocer or other retail store that carries baby formula, baby cereal, etc. Gift cards are always a great gift because mom can use them when she needs to do so, instead of ending up with too many gifts of clothing, etc that never get used. There are those babies that are tiny, who came too early. Moms of preemies sometimes need special preemie gifts. The baby snuzzler is perfect for all babies, especially preemies. Before you purchase baby gifts, you need to learn about BPA and Phthalates. These toxic chemicals are found in baby products, as well as items such as Wipes Containers, Bottles, Teething rings and more. When baby gifts are being chosen, it is usually for the mom. Until recently gifts for the new dad have not been part of planning for the new baby or even baby showers. There are some great gifts for the new dad. There are baby products that moms really don't need. Of course, you may want to buy items from her wish list in order to make her happy. Share the article about things moms really don't need and maybe she will delete one or more of those items from her list and add another, since there are alternatives which is in the article about baby products moms don't really need. Diaper Sacks BPA Free for throwing away soiled diapers. ﻿Bottles﻿-various sizes and Eco-friendly, BPA Free, safer for baby. Gentle baby shampoo, bath soap, and lotions-There are ways to make bath time fun and easier for baby as well as mom. Tub for infancy to toddler stages. Babies are bathed anywhere from a plastic tub, sink or even bath tub which can be a chore, especially for a new mom as well as her baby. Baby bath tubs can perform things such as a way to let dirty water flow out while clean flows in, keep water out of ears, keep track of water temp, and provide support to baby. Why buy a baby bath that will be used for only a few months when you can find baby baths that can be used from birth through toddler years. Piggy Banks are always popular. Piggy banks are from Fantasy Fields Magic Garden, are made from recycled wood, hand painted with non-toxic paints, and hand carved. Your child will be eager to drop those coins into these whimsical banks. They can also add to the decor, as accent pieces, of the older child's' room, even into teens and older. Of course you can find them made from plastic, ceramics, porcelain, sterling silver, pewter, etc in various shapes and designs. You might want to personalize the piggy bank with baby's name. Of course other baby gift ideas include: Diaper Bag(s)-One home, car, and at grandma's. Create a gift basket filled with goodies such as a night light,baby shampoo, soaps, lotion, sunscreen, pacifier, manicure set, or whatever comes to mind. Moms never have enough baby clothing. Many individuals have a tendency to buy for the newborn. Mom ends up with clothing that baby quickly grows out of, with very little wardrobe items for baby that fit. Instead of buying newborn sizes, purchase 6-9 month sizes if you see something so cute that you cannot resist it. Otherwise, calculate age, along with considering typical weather conditions. There a plenty of gifts that you can purchase for baby to wear as they grow. One thing to remember, children do not need shoes until they start walking. It is best for baby to wear booties and socks, while their little feet are still growing and the bones are forming, such as their heel, which does not occur until they become a toddler. Save money by buying baby clothing for boys and girls at end of season when clearance sales occur. 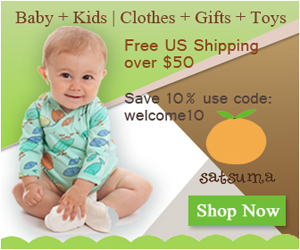 Choose assorted sizes in 9-12 mo, 12 mo, 18 mo which will give mom ample clothing for baby. Preemies often have to stay in the NICU, and newborn clothing is too big and not suitable for the NICU because of the tubes and so forth. NICU moms want nothing more than to be able to dress her preemie just like other moms. Here are some ideas for preemie clothing that is suitable for the NICU. ﻿Babies need more then cute hats, sunsuits and shorts and tops for the summer. They need sun protection. Here is an article about sun protection for babies and toddlers. Snow suit: The best choice is to purchase the type where the booties can be removed. If the snow suit gets a bit to short, mom can take the booties off, replace them with a pair of boots, while being able to continue using the snowsuit. Also, a 2-piece snow suit will wear longer than a one piece will. T-shirts. Onsies are often a favorite. There are some great ideas for baby gifts, and ways to purchase a nice gift while being on a tight budget. Co-workers and family members alike can get together and decide on a particular gift, then split the cost between them. To avoid embarrassing anyone who may not be able to contribute an equal amount, it would be nice to take up a collection, and then decide together as to what the gift will be, depending on the amount of money that has been collected. Here are some great gift ideas when purchasing a baby gift as a group. Rocking Chair that is comfortable and suitable for indoors or outdoors. The ideas for unique baby shower gifts are endless, regardless of your budget allowance. If you prefer, you can find many retailers online where you can have that special baby blanket embroidered. Maybe a engraveable baby gifts with baby's name on it that will be cherished for a lifetime. Silver piggy banks are nice too. Whatever the gift is, it will surely be appreciated by mom, dad and baby. A security camera which mom and dad can see baby at all times, often from the computer at home, and at work. Some prefer the baby monitor, but this only alerts mom and dad to a baby crying. Baby carrier or seat for bicycle of active parents so they can take baby along with them safely. The nursing mom needs to do so comfortably, and with some privacy without having to go to another room. Plenty of activities while baby is lying down or sitting up. Baby can kick piano keys which light up and play music. When baby is older, they can practice their piano skills when they hit the keys.